Thanks DISH Café and Catering! DISH Café & Catering at 855 Mill Street in Reno, Nevada, is the first business to have all employees take the iRefill pledge. A restaurant that puts the planet first, DISH also uses biodegradable utensils and packaging for to-go orders as well as composting their kitchen scraps. 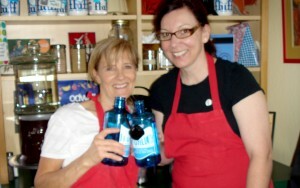 DISH is also a member of TAPIT – a nation-wide program set up to make it easy for those using refillable water bottles to get a refill wherever they may be. iRefill is proud to have Nancy Horn and her staff as members as our first business pledges!